Medical care is expensive, and with Americans living longer than ever before, those costs can add up quickly in the later years of life. That’s why it’s important to have a clear plan for how you’ll handle these expenses, and one way to plan for such eventualities is by investing wisely now. You don’t have to be a master day trader to save up for your future medical care, but a little guidance is always helpful. Here are 3 investment strategies that can help you feel secure about your financial future. You don’t need to save for medical expenses in your normal savings account, but instead should opt for a health savings account (HSA). These accounts have a favorable tax status compared to traditional savings accounts, although they work in a similar way. You have more flexibility, however, to choose how you save – whether you simply deposit the money or put it in stocks or mutual funds. Saving in an HSA is a great way to offset a high deductible insurance plan. Who has access to your medical information and can help make decisions about your future can have a big impact on what your end of life care looks like and how you’re treated in an emergency, which is why it’s important to think about this issue well in advance of major health problems. HIPAA requires complete privacy protections that can restrict who makes medical decisions for you, so ask your doctor who would be considered responsible next of kin and draw up a healthcare proxy to place on file if there is someone else you’d prefer to make medical decisions for you. Why does this matter financially? 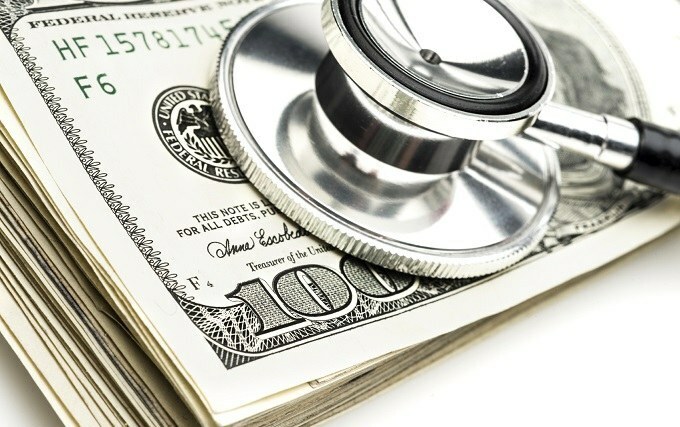 Well, how you save often reflects your care priorities, but if you don’t communicate clearly about these in advance you may receive treatment that leaves you or family members responsible for a large amount of medical debt. Suppose you’re in an accident and you’re put on life support when you would have preferred not to be resuscitated – that’s going to leave a big hole in your finances if it isn’t what you planned for. You don’t want to fall ill only to have someone else make decisions based on an inaccurate picture of your 401(k) savings. Investing in your home is a good way to save for future medical expenses, although this may seem counter intuitive at first. Why does this work? By investing in your current home, specifically in a home that goes beyond your needs later in life, you’ll be able to sell your house at a profit down the line and move into more suitable living arrangements at a lower cost. The leftover profit can then create a significant nest egg that you can spend on medical expenses. Medical expenses are a major concern for many Americans, but by planning for them now you can enter your golden years with greater peace of mind. Don’t leave your future health to luck – everyone deserves treatment that allows them to feel secure and well cared for.